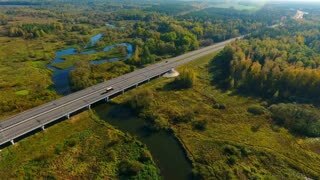 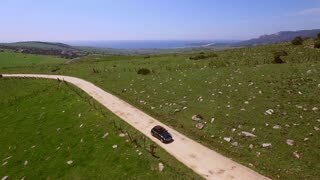 AERIAL: Flying over a blue car driving down a single dry road in submerged area. 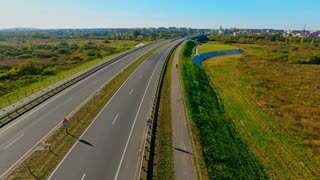 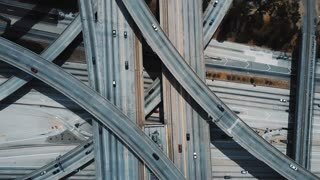 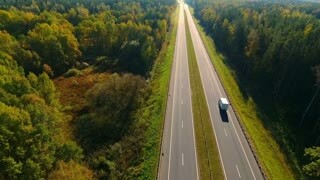 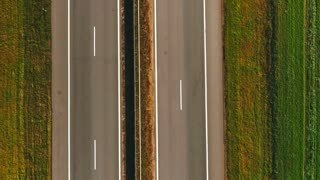 AERIAL: Single car drives down straight road leading through the sunlit jungle. 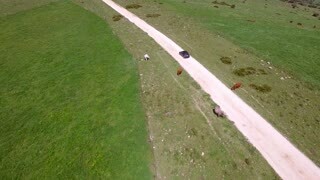 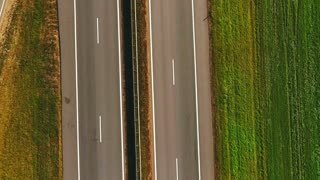 AERIAL: Flying behind a single black car driving down the scenic country road.